In the early 1900s the Okanagan River was re-engineered from a meandering stream to a channelized and diked waterway for flood control and irrigation. This reduced much of the fish and riparian habitats. 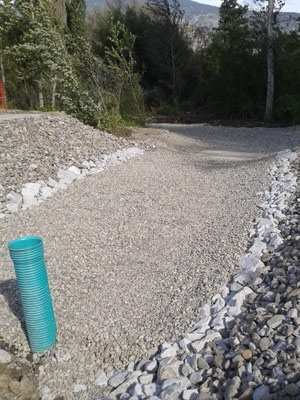 The Okanagan River Restoration Initiative (ORRI) is an alliance of government and non-government organizations dedicated to restoring portions of the river providing habitat for sockeye salmon, rainbow trout and wildlife species. Phase II of the project funded by the habitat Conservation Trust Foundation, was undertaken by the Okanagan Nation Alliance (ONA). This work had been delayed for several years due to unusually high streamflows. A new side channel was build and is now “on stream”. Read more about the project team on the HCTF blog.